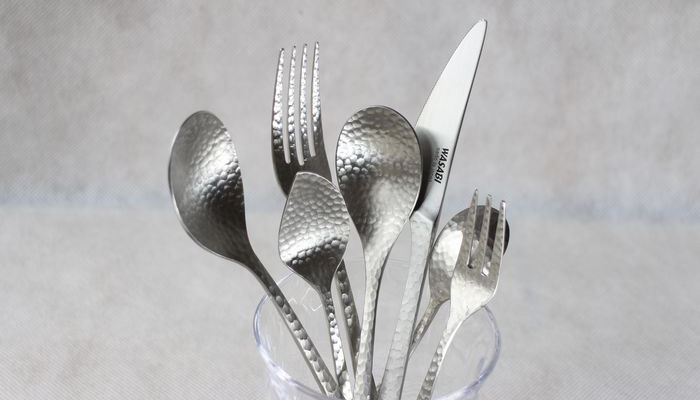 This product has been produced by the steel company in Tsubame Niigata Prefecture, this company making tableware in stainless steel wich gives a feeling of being silver and handmade and feeling of luxury and comfort. WASABI Premium Series it has been designed with smaller size for use in Asia. (c)Sohdo inc. All rights reserved.